The History of Soul label is a soul music-dedicated label that we have been waiting for. 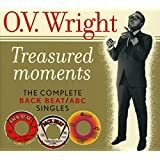 All kinds of vintage soul music has been reissued over the years on LP and CD–artist compilations, label compilations, regional and studio collections. 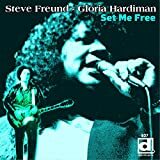 History of Soul appear to be attempting to present the history of the music in their various album releases from gospel and R&B to the earliest soul recordings up to the beginnings of funk. This week on the Blues & Rhythm Show we are looking at the three double album sets from H.O.S. 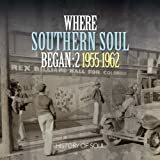 that carry the title Where Southern Soul Began, Volumes 1,2, and 3, the collections covering differing periods of time but together spanning the years 1954 to 1963. 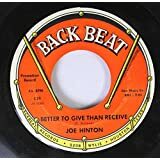 While other H.O.S collections have documented the gospel records that the compilers suggest lead to the emergence of soul music, these collections are focused on blues, R&B and the earlier examples of southern soul music on record. It’s a serious undertaking although there is no attempt by the compilers to explain their approach, so the music is left to tell the story by itself. There are pretty extensive liner notes providing profiles of the artists but usually without explaining their place in the development of southern soul. We’re going to play a selection from the 6 CDs. We’ve tried to present a balance of styles and of the different recording centers and record labels represented in the collection. Listen to the program at FM 93.3 in Hamilton or on CFMU online at cfmu.msumcmaster.ca. The program will be available to stream or as a podcast until April 25th.